The Lega Italiana Protezione Uccelli - LIPU (Italian League for the Protection of Birds), surveys and operates since 1990 in the southern Italian regions of Puglia and Basilicata, for the protection and the biological study of the Lesser Kessler. The Lesser Kestrel is a small migrating bird of prey in danger of extinction on a global level (http://www.redlist.org/search/details.php?species=8464). This species nests in Italy mainly in cavities of walls and under the house roofs of towns in the Murge of Puglia and Basilicata. It preys on insects and small rodents in arid steppes and pastures. Italy has the third largest population of this species in Europe (about 3640-3840 couples) and therefore bears an important responsibility for its conservation. One of the first menaces is the loss of reproduction sites. Furthermore the scarce interest of the local population, due to the lack of information on the importance of the Lesser Kestrel colonies, contributes negatively to its conservation efforts. 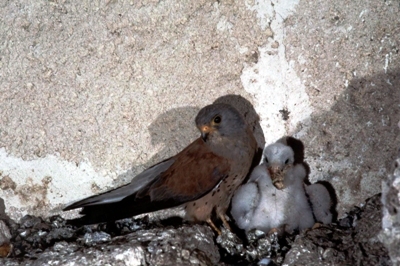 LIPU has intervened in many occasions, when the restoration of old houses would have destroyed Lesser Kestrel con nests. 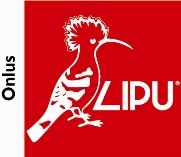 Therefore in order to allow restoration and at the same time prevent habitat loss, LIPU has installed boxes imitating the functions of wall nests. The high occupation of these boxes (70-80%), suggests that an increase of population is limited by the lack of nesting sites. Therefore the project which the Nando Peretti Foundation is helping to sponsor aims at intalling 200 artificial nests, and carry out the subsequent monitoring activities of the nests of 8 medium sized colonies (250 couples). During the installation and monitoring procedures, a booklet (5.000 copies) will be distributed to the population, with information concerning its biology and conservation.The other target of the awareness campaign are school children, who will also receive a publication on this bird (7.000 copies) and will be involved in a contest for the realisation of a conservation campaign. The Lega Italiana Protezione Uccelli - LIPU (Italian League for the Protection of Birds), surveys and operates since 1990 in the southern Italian regions of Puglia and Basilicata, for the protection and the biological study of the Lesser Kestrel .